For the umpteenth time, Ghanaian candidates made a clean sweep of the three international laurels available for candidates in West Africa who wrote the May/June West African Senior School Certificate Examination (WASSCE). 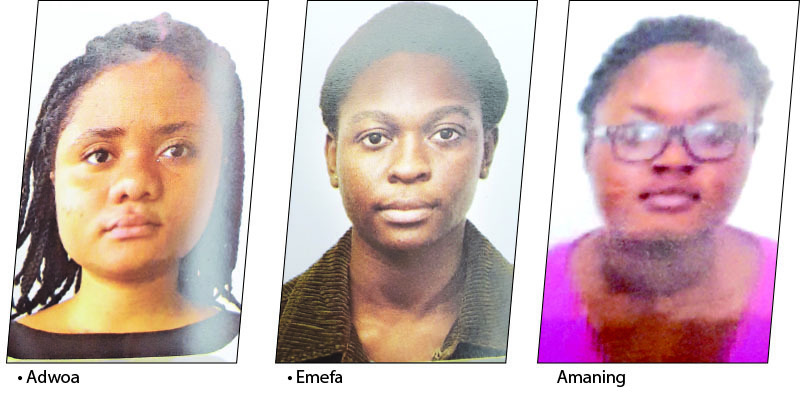 By this feat, the all female Ghanian students beat Nigeria and other three member-countries that presented candidates for the school examination taken at the same time every year. The three students, two from the same school, Holy Child Senior High School, Cape Coast, and the other, Aburi Girls’ Senior High School, Aburi, all in Ghana, emerged the best overall in the sub-region out of 1,909,088 million candidates that wrote the May/June 2017 WASSCE. At the award ceremony held on Tuesday, March 20, which had in attendance stakeholders, including top government functionaries from the five member-countries, Chairperson of council, Dr. Evelyen Kandakai, Registrar, Dr. Uyi Uwadiae, five Heads of National Office, schools, teachers and students, the three Queens of WAEC were crowned champions. In the May/June 2017 WASSCE, 19-year-old Sutherland Jochebed Adwoa of Holy Child Senior High School, Cape Coast, Ghana, beat 1,909,088 million candidates from the five-member countries to cart home the first prize. She recorded A1s in nine subjects including English Language and Mathematics. The Augustus Bandele Oyediran award for the best candidate in West Africa was also presented to Miss Jochebed. Among her numerous academic achievements include quarter finalist in the National Science and Maths Quiz 2016/2017, Overall Best General Science Student and Best Integrated Science Pupil, was president of the Science Club and Vice President of the Lectors Committee. Jochebeb wants to work with the Doctors Without Borders (MSF) and engage in medical research. The second prize went to her colleague from the same college, 19-year-old, Awuttey Audrey Emefa. She obtained A1s in nine subjects. Audrey was Overall Best in Mathematics, Physics and Chemistry in 2017 and member of Science Club. She wants to be a medical practitioner in Otolaryngology. Seventeen-year-old Amaning Kwarteng Rachel, a former student of Aburi Girls’ Senior School, Aburi, Ghana, emerged the third best candidate in the May/June 2017 WASSCE. Like the other two candidates, she also made A1s in nine subjects including English Language and Mathematics. She represented her school in various quiz platforms and also at the Science and Maths Quiz, was the vice president, Calvary Road Incorporated and a member of Competitive College Club. She wants to be a medical doctor. “Rachel performed excellently in her academic work. She was respectful, calm and hardworking. She brought a lot of honour to the school by representing the school at various quizzes and competitions organised at different levels,” explained her teacher. When The Gambia non-council member on the board of trustees of WAEC Endowment Fund, Mr. Makaireh Njie, introduced the trio, they received standing ovation. According to the council, one of the major objectives of the WAEC Endowment Fund is to support awards for outstanding performances by candidates in member countries. To be considered eligible for the excellence award, a candidate must obtain, Grade 1 in at least seven subjects including English Language, Mathematics, one of Physics, Chemistry and Biology and one subject from any of the three sub-categories of core subjects. In addition, WAEC said a candidate must obtain a minimum of grade six in at least one subject from each of the core subjects’ sub-categories. Three prizes are available in each category of the international award. WAEC noted that the results of candidates eligible for an award must have been obtained at the first attempt and at one and same sitting. The grades would also have been obtained without any hint of impropriety. From 2012 to 2015, Ghanaian candidates made clean sweep of the three awards available for the excellence awards for May/June WASSCE and in 2016, two of their students took first and third positions while a Nigerian student placed second. Holy Child School, also known as Angel’s Hill/Monks, is a female second-cycle institution in Cape Coast in the Central Region of Ghana. In 2003, the school was ranked among the best 10 schools in Africa, producing the best overall female student in the 2003 Senior Secondary School Certificate Examinations (SSSCE). The Proprietor of Focus International School, Abeokuta, Chief Lanre Ogunjobi, described the outcome of the award as a shame to the nation and urged the Federal Government to halt the decline in standard of education, especially public examinations taken by students. A parent, Mr. Ayodele Samuel, wondered why Nigerian students will continue to trail behind their Ghanaian counterparts in the May/June WASSCE, stating that what happened at Banjul last week was a wake up call for government, schools, parents and students. In his keynote address, President Adama Barrow welcomed the delegates to The Gambia, the Smiling Coast of Africa. He described WAEC as a unique institution within the sub-region and the comity of assessment boards which had consistently played prominent roles in educational reforms and development in the member countries. He also assured the stakeholders that his government would fulfil its financial commitments to the Council despite the prevailing economic situation. Barrow decried the spate of malpractice in public examinations, adding that his government was collaborating with the council to implement a number of measures against the evil. He then urged other member governments to maintain zero tolerance for examination fraud by relentlessly waging a war against the menace.